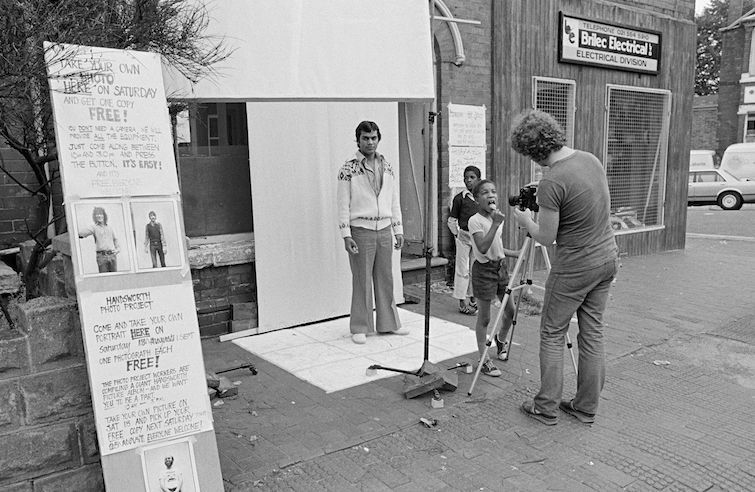 On a dull day in August 1979, Derek Bishton, Brian Homer and John Reardon setup a pop-up photography studio on the street in Handsworth. They had no idea if anyone would show up. Forty years later, Bishton's struggling to pick between the more than 500 self-portraits that came out of the project, for an exhibition that opens at mac on Saturday. Introducing: The original selfie. 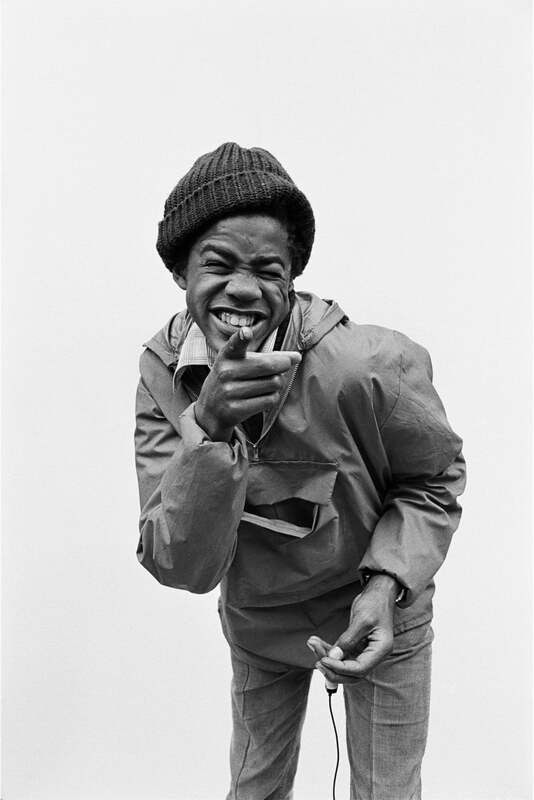 Giving people the shutter release so they could choose the precise moment when their image was captured was critical to Bishton and his team, "we wanted people to actively participate — this wasn't about us capturing what we saw in Handsworth but what the people of Handsworth wanted to say." The makeshift studio was set up at 81 Grove Lane, just outside the team's office. Bishton got a sign explaining what was going on translated into Punjabi and Urdu, and after the first of five days of shooting over that summer, Bishton knew the project was going to work. "First the local kids turned up — unafraid of anything or anyone — and then we got couples, bands, entire families and everything in between." Though self-portraiture was used in feminist art, Bishton doesn't know of anyone using it at the scale he did and in the everyday context in which we take selfies today. "Forty years ago the concept was quite revolutionary and the results feel genuine, perhaps in contrast to the practiced look we adopt today when someone whips out a mobile." The late seventies was a time of huge demographic change in Birmingham, and in Handsworth the shift in Afro-Caribbean and Asian culture was particularly obvious. "At a really basic level" says Bishton, "the streets looked different, and we wanted to capture that". First generation immigrants were having children, unemployment was high so people weren't at work, the Rasta movement was emerging in the African community and immigrants were getting more confident in their dress, explains Bishton. "Take Sikh men — many were discriminated against when they first arrived in the UK but in Handsworth at that time younger Sikhs were becoming more confident and wearing their turbans again." For Bishton, this was an important moment in the development of the city that needed to be documented. And looking back at the collection all these years later, something tells us he was right. It was also a lot of fun. Having selected 44 images to be printed from the original project, Bishton hadn’t looked at the more than 450 other negatives for years: "I was astonished by the good feeling — there was a terrific sense of people being friendly, open and presenting themselves with dignity and presence." Bishton hopes that the exhibition itself will evoke reflection on where we've come from as a city, where we’ve got to and how such negative associations with immigration have come from what was visibly such a positive place. 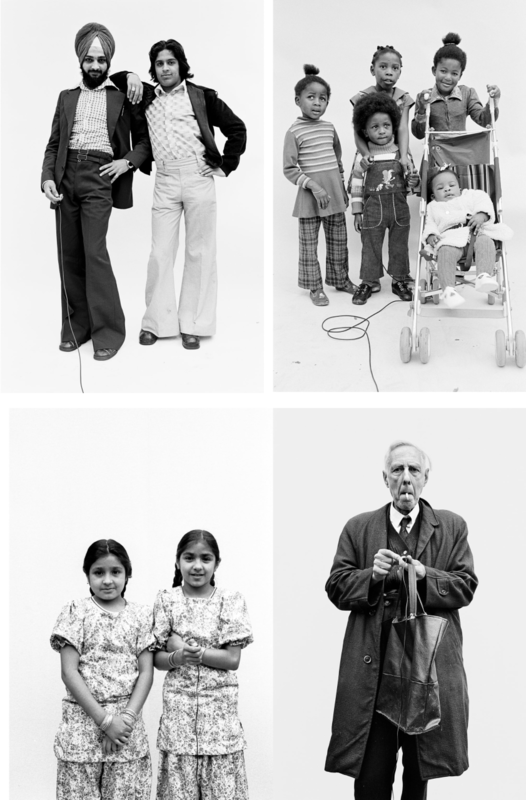 Happily, scores of the original subjects and their families have already got in touch — with many remembering the project directly, recognising family members in shot, or whole pictures that still hang on walls around the city. One of Bishton's favourite interactions was a comment on the collection's Instagram account that simply said 'OMG! It's my Daddy!'. Even the children from the images are now mostly in their fifties says Bishton — "this is a collection for a new generation as much as an old one and I can't wait to see what comes of it." 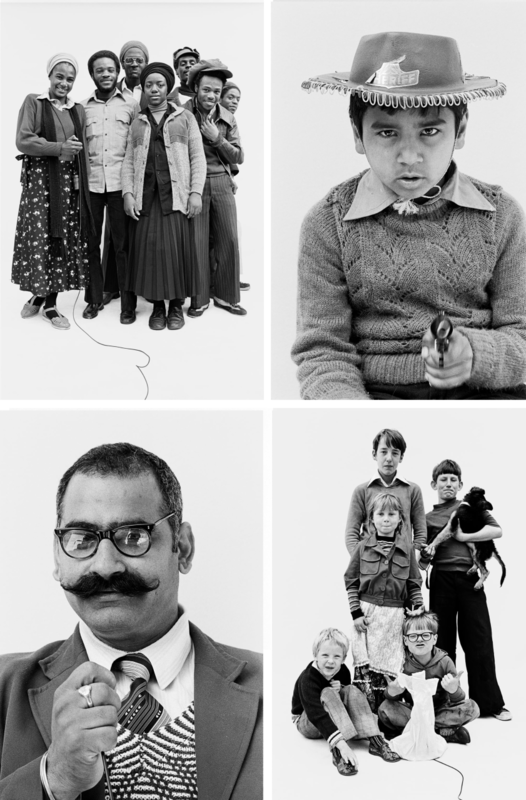 PICTURES: Handsworth Self-Portrait - (1979)© Bishton, Homer & Readon.